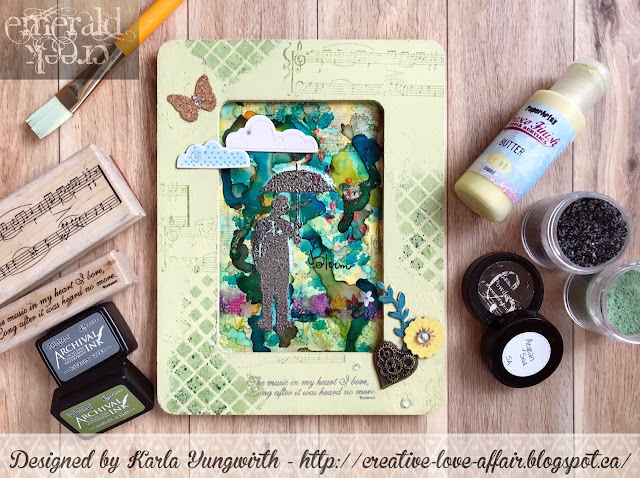 Hi Everyone, it's Peg and I wanted to share a quick little canvas I created using some of the new baked texture embossing powder. 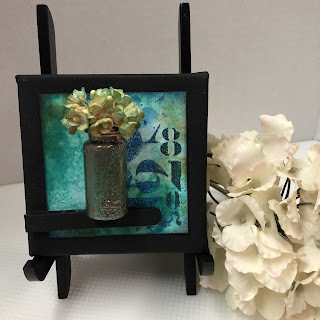 Sometime ago in a class with Wendy Vecchi, I learned that you can apply Archival ink from Ranger Ink to a non porous surface like glass and embossing powder will stick to it. 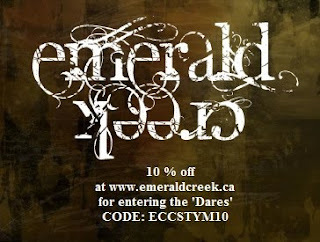 Well, with my beautiful new supply of Emerald Creek powders, I wanted to see what I could create. I applied the ink and powder and was wowed. CAUTION glass gets hot, so hold it with a tool while heating and cooling. I colored up some of the flowers from Tim Holtz and added them to my antiqued container. I then glued it to a 4X4 canvas. Happy Spring!